我們在美國長大, 當然不會跟上台灣所有的傳統. 但是我門如果忘了慶祝中國新年這麼重要的節日, 是不是就忘了自己是華人呢? 我在大學念書也沒時間陪家人好好吃一頓年夜飯, 做大掃除. 今年, 還差一點忘了趕回家看爸爸媽媽, 跟阿公阿媽吃個飯. 至少我回家時還記得穿紅色衣服. Growing up in America, it’s a given that we won’t be able to keep up with all the Taiwanese traditions. But if we forget to celebrate such an important holiday as Chinese New Year, does that erase our Taiwanese identities? College keeps me too busy to go home and enjoy a New Year feast with my family or participate in the traditional cleanup of our house. This year, I nearly forgot to even go home, see my parents, and eat a simple dinner with my grandparents. At least I remembered to wear red. 今年, 我希望能多用中文和別的外文. 我也希望能當一個比較大方, 開朗的人. 至少, 我想多出門, 不要一個人窩在家做功課. 爸爸一直叫我去找”party,” 趁畢業之前最後一年好好學習, 好好玩. 真是好建議. 祝大家新年快樂, 心想事成! This year, I hope to use Chinese and other foreign languages more often. I hope to become a more open, honest person, at least get out of the house more often instead of holing myself up with homework. Dad keeps urging me to go out and party, to take advantage of my last year before graduation and learn well, play well. What good advice. Wishing everyone a happy new year and fulfillment of all your heart’s desires! 爸爸一直勸我要把小羊玩具帶回學校. 我一直告訴他, 這不是羊, 而是羊駝. 你覺得呢? 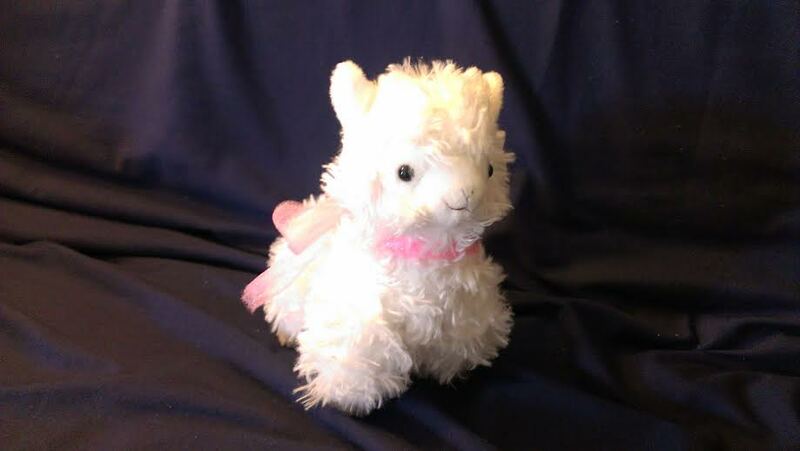 My dad persuaded me to bring this “sheep” back to school, even though I keep telling him it’s an alpaca. What do you think?